I had four days of holiday entitlement to take before April, It was slightly annoying having go into work for just the one day. Like with all my holidays I spend the time exploring the countryside looking photographic opportunities. With it still being February the nature reserves are still barren and uninteresting. With nature photography not being an option (Snowdrops being an exception) I focused my efforts around the North Norfolk Coastline and Norfolk Broads. When planning my trips out I try and find a number of locations nearby, for example on Tuesday which was my first day off, the first place was Thurne Windpump, then onto Horsey which was 8 miles from Thurne and then onto East Somerton that was 2.5 miles from Horsey which in themselves won't keep me busy for a whole day. http://www.shothotspot.com/ is a great website to find photo locations. Wednesday I visited Cromer then went onto Sheringham, Thursday Kings Lynn with a couple of photographic friends. Friday Brancaster and then Brancaster Staithe. Since I solved my purple fringing issue when taking long exposures I wanted to focus on that type of photography. Long exposures are good with moving objects like skies and water to smooth them out and it creates a moody feel to images. Thurne is one of the most photographed windmills in Norfolk as it is easily accessible and in good repair. Horsey Windpump which is owned and maintained by the National Trust is currently being repaired due to the recent storms damaging the sails and they are also refurbishing the facilities. This visit was to see the other mill nearby called Brograve Mill which is accessible by the footpath at Horsey where there is plenty parking available. 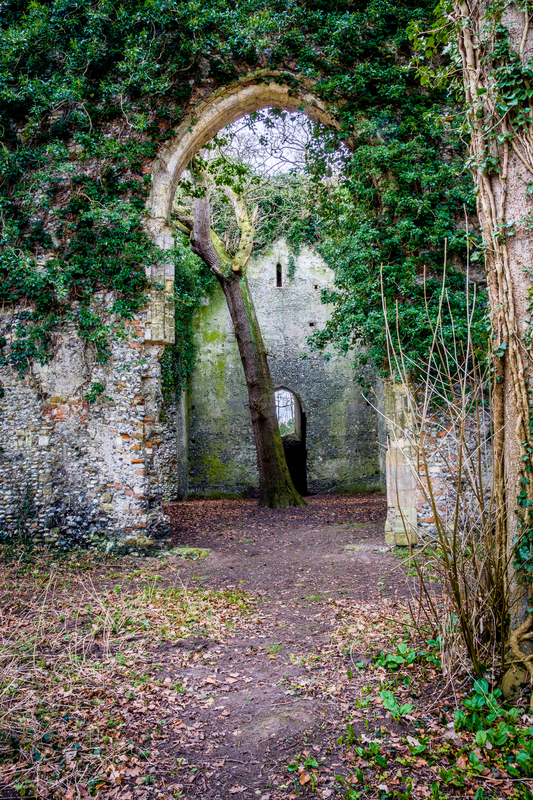 East Somerton has remains of a church was I thought would be interesting to see and I was not disappointed with the brick work covered in vines and a tree growing in the middle of the structure. An added bonus was Snowdrops which I also wanted to photograph this year. Cromer Pier has been on my mental list for sometime now and is ideal for long exposure photography. What I wasn't expecting was the amount of repair work that is ongoing on the sea defenses and the pier itself with the beach around the pier is closed off to the public which is unfortunate as I would have liked to take an image from the beach level, maybe in a year once the works have been completed. I lived in Sheringham for about 5 years, unfortunately my parents restaurant business closed at the start of the recession and the building appears to be still empty. This was the first time I have returned, other than the new Tesco and Sainsburys in the old Woolworths not a lot has changed. Despite living in Norfolk since 2000 I cannot remember exploring Kings Lynn, reading up the towns history on Wikipedia is quite interesting, used to be called Bishops Lynn. There are a few old buildings and streets about worth looking at. I have been to Brancaster Staithe before, very photographic with the fishing industry. Brancaster beach further along is very flat and open but lacks any interest, no boats or sea defenses. It wasn't long till I moved onto Brancaster Staithe. My next week off isn't till the 3rd for 4th week in March, more research is required to see what else is interesting to see in Norfolk and possibly Suffolk. There are a few more windpumps that require a long walk to view them.